New Directions Publishing Corporation, 9780811200271, 92pp. It is true that he has been one of the inner circle of the 'Beats' from the first, but many admirers of his poetry feel that it belongs quite as much to other and older traditions in world literature. One of these is the revival of pure poetry whenever an "original"--be it Rimbaud or Whitman--has broken with current verse conventions to give free rein to the magic of language. Another is that ancient pre-occupation of poets--the sense of the immediacy of death. 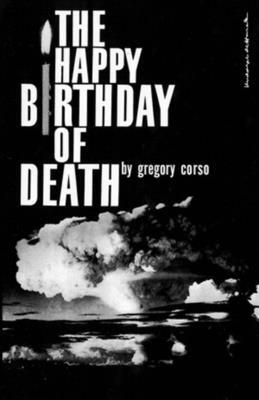 Like Villon or Dylan Thomas, Corso lives close to the mystery of death. It is, perhaps, his central theme, on which variations ranging from the terrible to the comic are sounded. But Corso is seldom macabre. A bursting vitality always carries him back to the sensations of the living, though always it is the reality behind the obvious which has caught his eye. "How I love to probe life," Corso has written, "That's what poetry is to me, a wondrous prober... It's not the metre or measure of a line, a breath; not 'law' music; but the assembly of great eye sounds placed into an inspired measured idea.